If you thought transferring money was difficult, you are in for a treat. RBI has developed its new app which lets you transfer money with ease now. All you have to do is download this UPI app which is available on Google PlayStore – and you can transfer money through it with government verified methods. This means no more waiting for 24-48 hours to add someone as a beneficiary. You can just enter the UPI ID of the person whom you want to send the money and the money will get sent. It is as simple as that. UPI stands for Unique Payment Interface. It is the latest advancement in the payment technology, making Online banking easier and faster. Earlier you would have to wait for a few weeks to get bank approval, and yet more days to add someone in the list of recipients. Now you can do this with just one click and by downloading this app. This is why it will make cashless transaction easier and can help you pay without credit or debit cards. Previously people used to transfer money online via NEFT or IMPS. Now this new app has been announced on August 25th, 2016. Finally after 5 months, the app is all set to be downloaded. It has come at a good time because people are already seeking alternate ways for money transfer post demonetization. Initially 21 banks had participated for their services to be included in this group, now almost all banks have joined. However this is the issue with this app – since all banks have joined this platform, each have their own app for this purpose. There is no singular app that can store the data for accessing different banks. 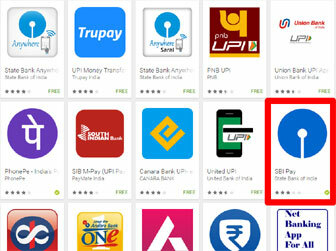 This means if you are using SBI bank, you have to download SBI’s UPI app separately. If you want to use HDFC bank, you have to download the app from HDFC bank separately on your smartphone. How is UPI different from other types of transactions? NEFT: You need to give the IFSC code, bank details and the name of the payee to make the transaction. The transactions are processed hourly and they are made only during the bank hours. This means after the bank hours are over, these processes cannot be done further. It takes almost 1 hour to process the transactions and transfer the money to the beneficiary. IMPS: IMPS is the only process among the other two that is immediate. You can transfer money instantly through it. However, you have to have an MMID for which you have to again contact your bank. They will ask you to register, and it is a lengthy process. Not just you, but even the person you are sending it to, must have an MMID for successful transaction. The upper limit for such type of transfer is Rs. 2 lakh. RTGS: RTGS was the first to come to the forefront. The great thing about RTGs is the high amount that can be transferred through it. You can transfer from Rs. 2 lakhs through it. The best part is that the amount gets credited within 30 minutes too. So how is UPI different from these? It is an immediate fund transfer service. This means that you can transfer the funds immediately through it without waiting for days or hours. Also, you don’t have to wait for the banking hours for the funds to show up in your account. This service is available 365 days and 24/7. You don’t need to type out the IFSC code, the passwords or debit card details etc. It is a one click money transfer way. Even bank details are not required. All you need is a virtual payment address for the amount to show up in the beneficiary’s account. The amount you can transfer per transaction is limited to Rs. 1 lakh. Also, you don’t need to register beforehand to make the transaction. To get this amount credited in their bank account, the beneficiary needs to just have an UPI enabled app on their smartphone. The user also needs the app and he or she needs to register on the app itself. You don’t need to go to your bank to register your number or get any MMID. Everything will happen through this smartphone app itself. How can I get this app on my mobile phone? Any smartphone user must be aware that they can download apps from Google PlayStore. ICICI bank, for example, has released their UPI app called iMobile and Pockets. You can download the same through Google PlayStore. It must be noted that some of these apps are not released on the iPhone platform yet. In future these apps will be available for download on Windows and iOS platforms as well. You should definitely have a bank account first. Also, you should have a mobile number that is registered with the bank account. The same mobile number should be used on the app. The app can only work with two things: internet and a registered mobile number. So you should follow the first step to access this app. VPA or Virtual Payment Address is the substitute of bank account details and IFSC code. Through this alone, you can transfer money through UPI system. VPA can be chosen just like a username for an email – it will have to be unique. VPAs are mapped during the time of creation. They are also linked to bank accounts. So they are pretty much unique in that aspect.